← The Forgotten Gary Chester/Charles Perry Drum Book? SKF NOTE: After interviewing Jaimo and Butch Trucks (Modern Drummer May 1981), Jaimo and his wife at the time, Candy, invited me to spend a weekend with them at their Macon, Georgia home. It was both a fun and somber weekend – which I’ll write about sometime. I took the photo of Jaimo in his home drum room. Attached to the door (rear left in this photo) is a chart of the human muscular system. I’m sorry my inexperience with a 35mm camera overexposed that part of the photo. 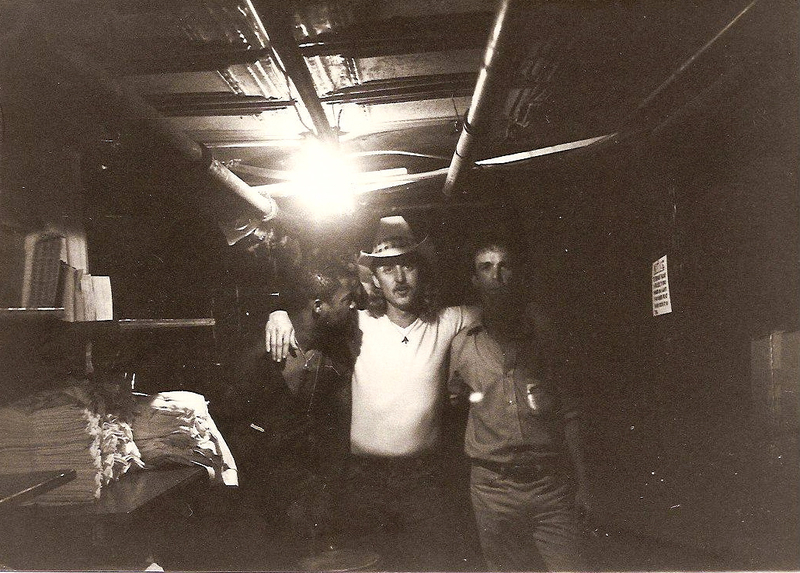 The second photo of Jaimo, Butch Trucks and yours truly was taken in the basement of a New York City bar. There was a very small office in that basement. That’s where most of the MD Jaimo/Butch interview was taped. I think this photo was taken by my friend, Bill Grillo. 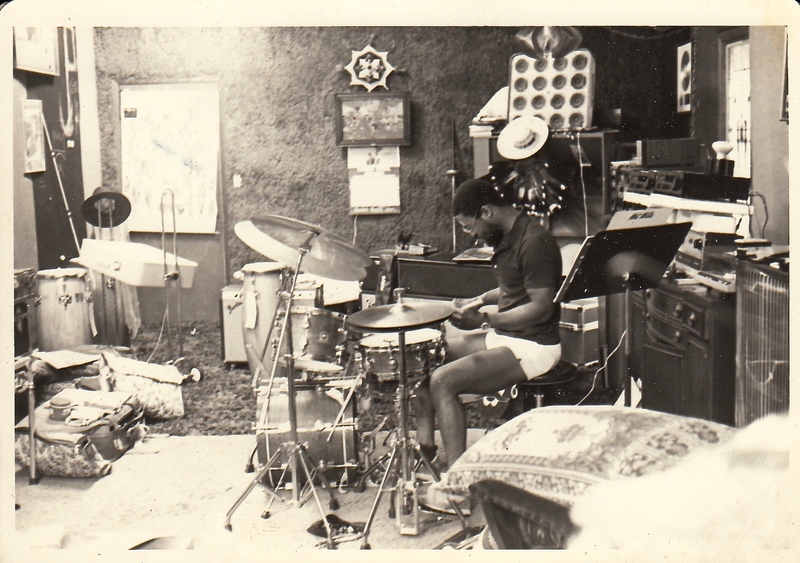 This entry was posted in SKF Blog and tagged Allman Brothers, Butch Trucks, Drummer, Jaimo, Modern Drummer, Scott K Fish. Bookmark the permalink.